Shabnam Mousavi was once an electrical engineer, then moved on to obtain a PhD in Economics and one in Statistics from Virginia Tech. She is an interdisciplinary scientist exploring the many aspects of human choice behaviour. She has held university faculty positions in finance at the Johns Hopkins and Georgia State and in statistics at Penn State. She has been a fellow of the Max Planck Institute for Human Development in Berlin since 2007, as well as a network member of the University of Chicago Wisdom Project since 2008 (grant recipient). She is president of the Society for the Advancement of Behavioral Economics (2018-20). 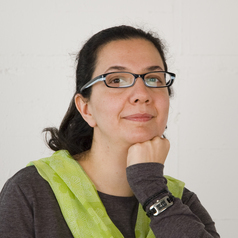 Shabnam serves on journal editorial boards of Behavioral Economics for Public Policy, and Behavioral and Experimental Economics; the steering committee of the Bank of Italy BEFAIRLY initiative; and the advisory boards of Evonomics, and the Ethics Labs of the Technical University of Munich. Her work has appeared in academic journals across disciplines including Brain and Behavioral Science, Business Research, Economic Methodology, Quality Technology, Risk Management in Financial Institutions; and featured in Changing Business, Die Zeit, Johns Hopkins Health Review, Johns Hopkins Magazine, Neue Zürcher Zeitung, Science News, and The Current. She is co-author/co-editor of the Routledge Handbook of Behavioral Economics (2017), Behavioral Finance Revolution (2018), and A Fast and Frugal Finance (2019). Currently, she is writing her book entitled Fast and Frugal Decision Making elaborating on the implications and applications of the behavioral and cognitive sciences in policymaking, as well as individual and collective choice processes in business and other organizations.